"TIW has years of experience and a proven track record with both residential and corporate clients. Please see our Case studies section for more information." "We're committed to creating designs as per our customer's preferences and needs. 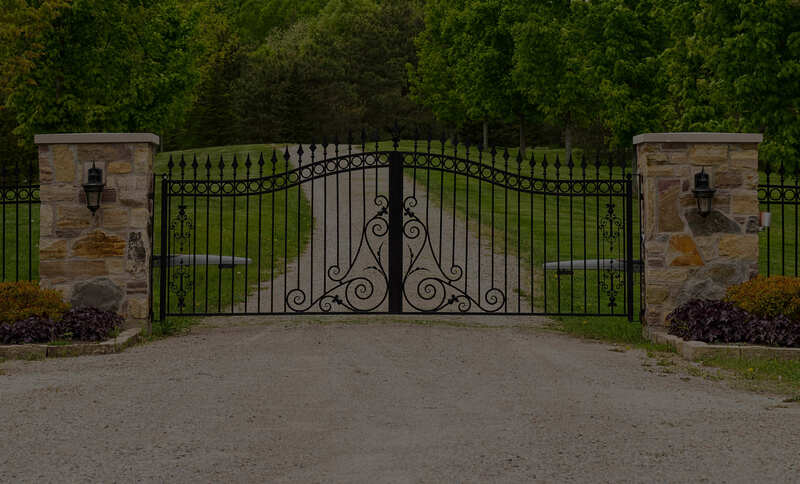 To have a look at some of the balustrades and driveway gates we’ve tailor made for our customers please see our Projects section." "We have one of the most experienced teams in the UK. This gives us the capability to design as per your specifications. We can use photographs, drawings or simply a concept to begin making your dream project a reality." "We're professional, time efficient and accessible. You can call us anytime for a free survey and you will receive a quote within 48 hours (Phone: 020 8641 1067)." 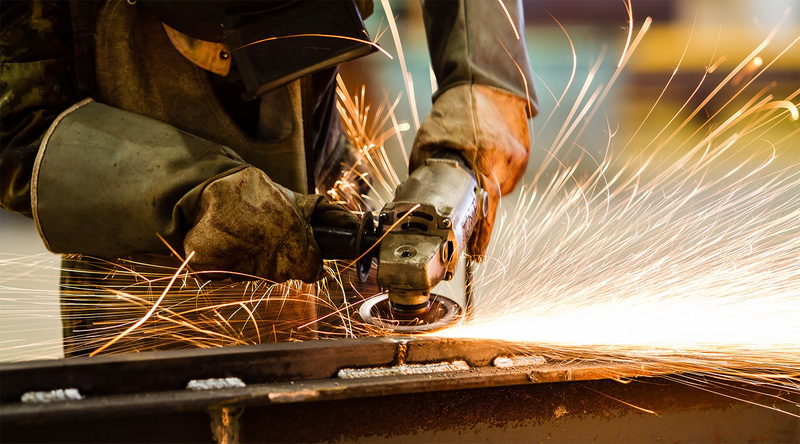 "For the kind of high end craftsmanship we're offering, our rates are very competitive." 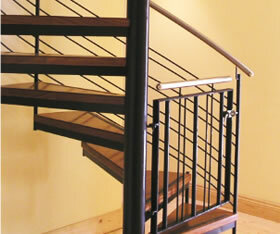 "We also specialized in providing spiral staircases, railheads, straight staircase and gates and railings in London". 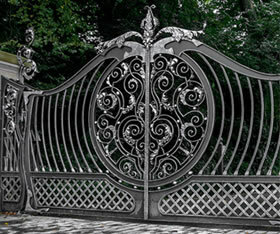 We pride ourselves on bringing you high quality custom designed metal work. 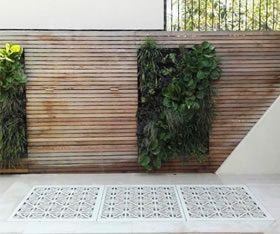 We design, create and install railings, gates, staircases, balconies and interior/ exterior furniture. 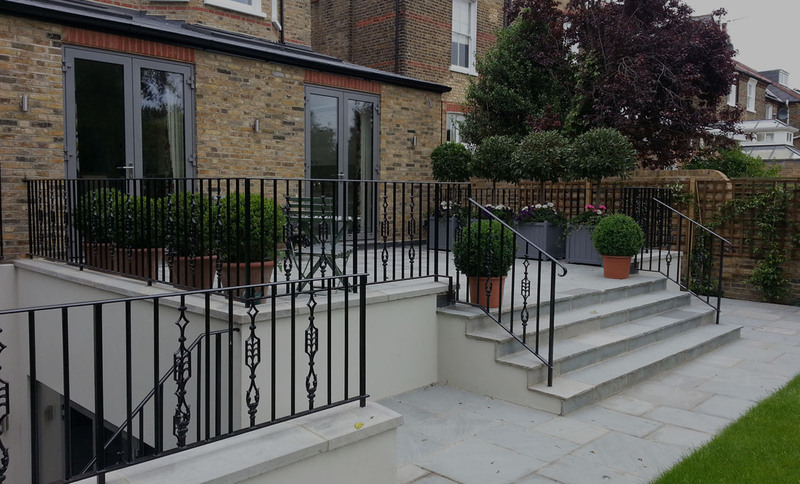 We’re especially known throughout London and the entire UK for our balustrades and driveway gates. 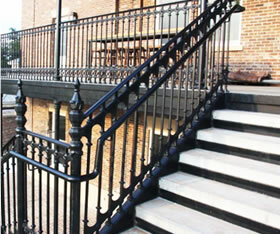 We also have a variety of patterns for London rail heads and finials, cast iron panels, inserts and stair treds.